If you’ve been following my previous ‘Around the world in 12 dishes’ posts you’ll see that we have already been to the UK, India, Russia and Japan, this month we are visiting Australia! 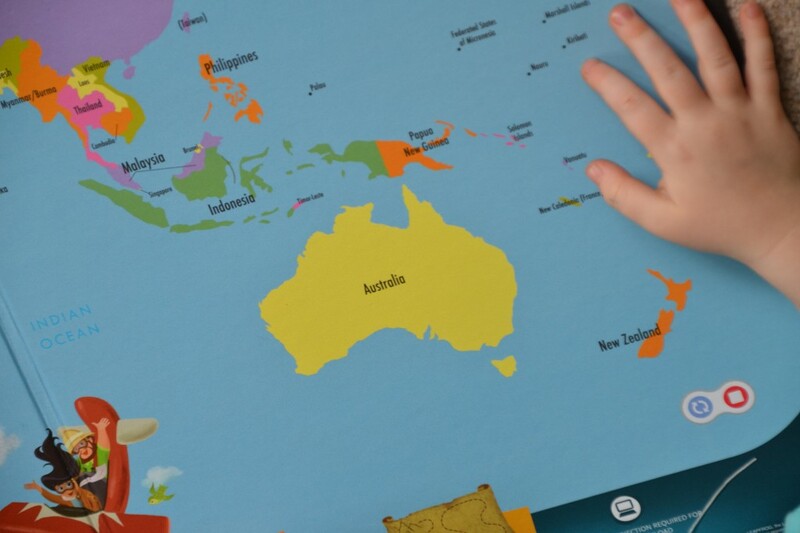 Z has been looking at his LeapFrog map a lot since the Olympics started to try to learn where all the countries are so we used this to look at Australia. 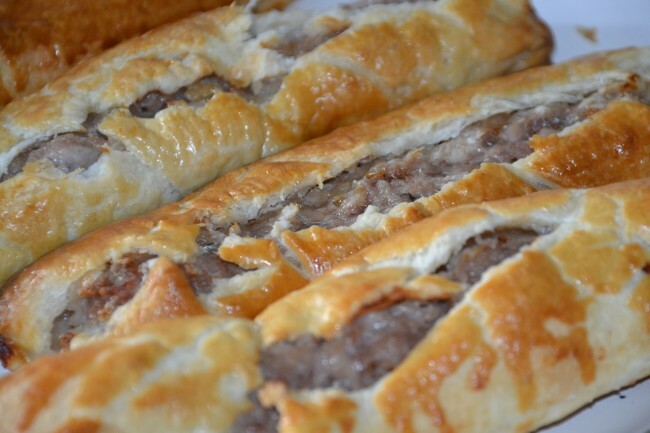 I found it quite hard to come up with something typically Australian for us to cook, but after extensive google searching found that sausage rolls are popular Australian food. We kept it very, very simple. I cheated and bought ready made sausage meat, and some ready to roll pastry ( this month has been especially busy with school finishing and holidays starting ) and we simply rolled out the pastry, added the meat, rolled the pastry around the meat and painted the top with some egg wash. We cooked it in the oven for about 25 minutes, until the top was nice and brown. They were yummy and all the kids loved them. Not the healthiest obviously, but ok for a treat! You can see all the details and download a fun passport and placemat over on Glittering Muffins so do pop over for a look. Please check out the other blogs taking part and their much more exciting Australia ideas: Adventures In Mommydom, Creative Family Fun, Domestic Goddesque, Glittering Muffins, Juggling with Kids, Kitchen Counter Chronicles, Mermaids’ Makings, Mom 2 Posh Little Divas, Montessori Tidbits, The Educators’ Spin On It and The Usual Mayhem! Please link up your Australian dish and/or craft in our linky below, we would love to see it! « Can we play Post Office Mummy? I always feel embarrassed when people ask me about typical Australian cuisine. We’re such an eclectic country that we’ve embraced pretty much everything! Damper (link no.4 above) is wonderfully authentic and also healthy, and you can always cook it in the oven. A popular party food when I was little was fairy bread: buttered slices of bread sprinkled with hundreds and thousands (coloured cake sprinkles). Full of sugar, but yummy!